When it comes to your presentations, go big! 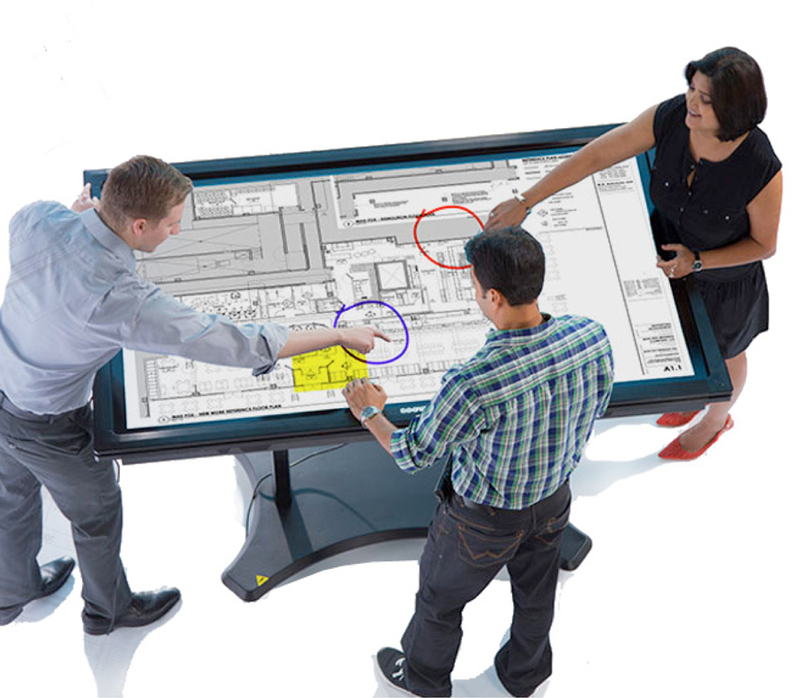 Turn your everyday meetings into powerful collaborations. 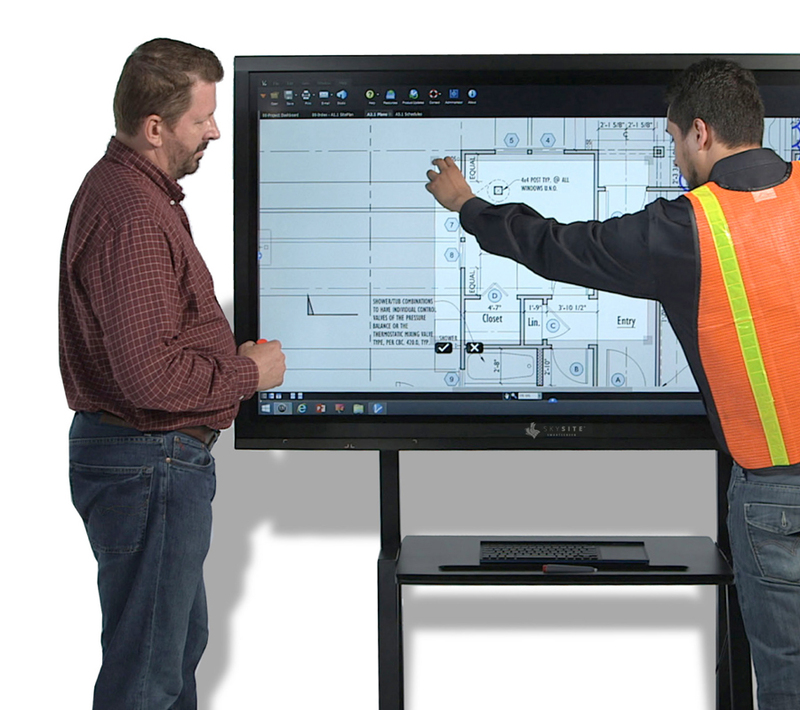 The SKYSITE SmartScreen is an outstanding tool to significantly improve your meeting productivity. Your content is displayed larger-than-life enabling tremendous improvements in interaction and collaboration. These high-quality, high-impact flat-panel computer displays are built both tough and smart. Powered by Intel i7 processors and Solid State Drives, they can handle your most demanding applications. And with a toughened glass screen and heavy duty stand, they have the durability to do it on the job site. Bring up a file on screen, work on it collectively, agree to next steps and an action plan, and then send notes out to all attendees (and even those who couldn’t make the meeting). 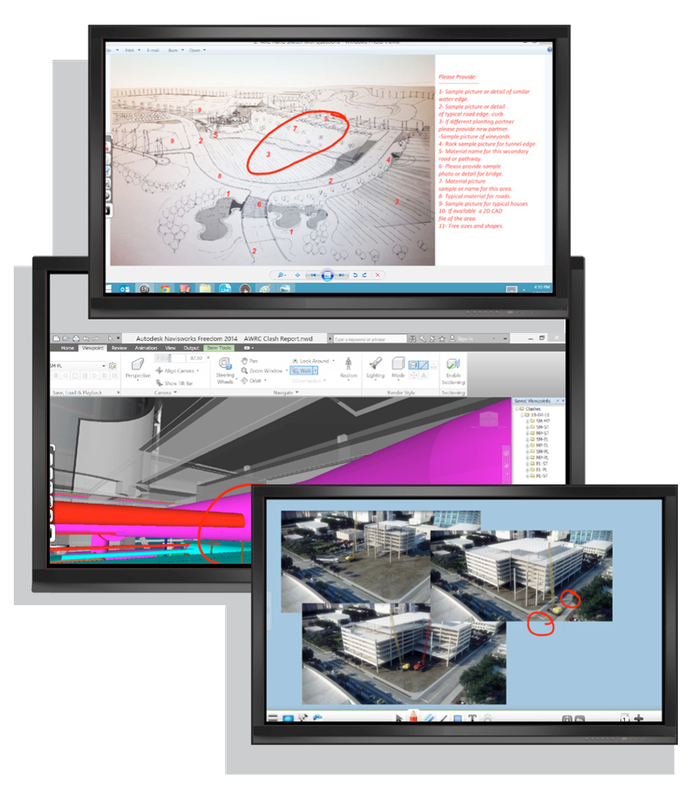 Draw, mark-up, and call-out on top of BIM models, videos, hyperlinked drawing sets and estimating software. You can even markup over externally connected iOS, Android and other devices as well. With support for Skype™ for Business, GoToMeeting™ and other cloud-based communication tools, your teams will be able to collaborate like never before. 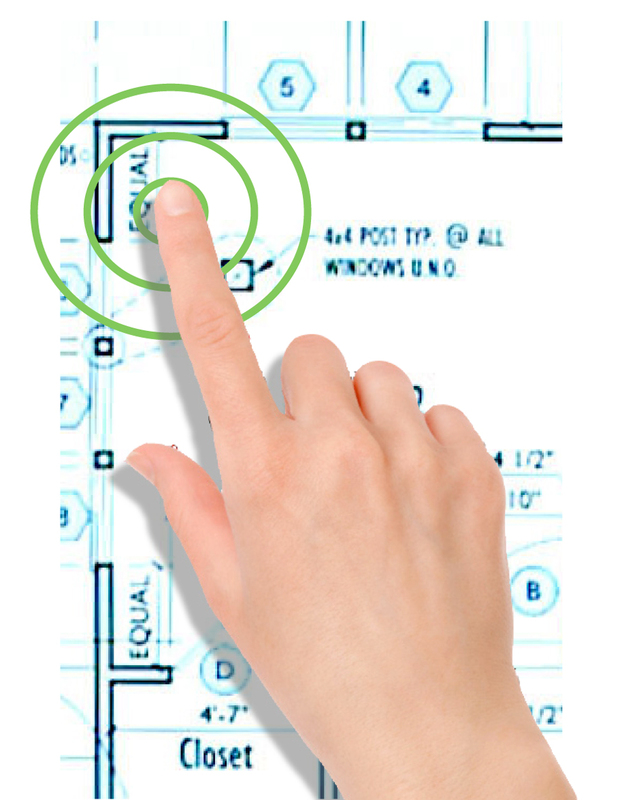 Pinch, swipe and tap to manipulate your files and information using the touch-sensitive screen. With 20-point touch it is easier than ever to engage with your content — mark-up, add comments, or make changes - all in real time, right on the screen. And, because the SmartScreen runs on Microsoft Windows, you can easily save to the cloud, print, or send your completed files to the rest of the team. Interact with, collaborate, and share your content in amazing Ultra High-Definition - the next big step in HDTV technology (also referred to as 4K). 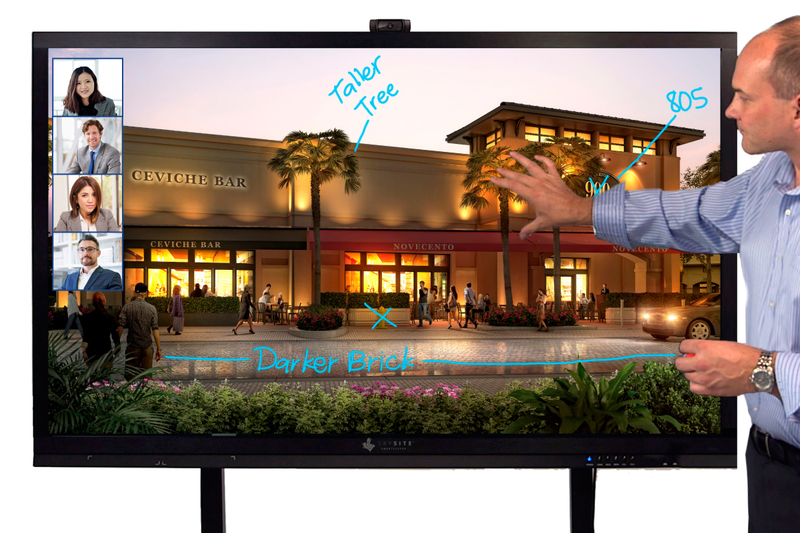 Your message and vision will be beautifully rendered and communicated thanks to the SmartScreen’s support for over one billion colors. Presentations, images and photographs look spectacular.